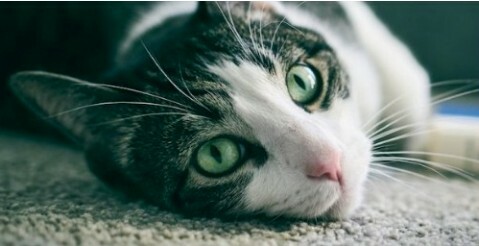 Essential Products to Keep Your Cat Happy! Whether you’re a veteran in the world of cat-parenting, or you’re just adopting a new feline friend, you’ll want to make sure your house is packed with everything you need to keep their fur clean, their bellies full, and their paws busy. You can visit vet products direct for cat products that are available online. If you aren't sure what you need to keep your cat content, here are some essentials to get you started. Let’s start with the most basic of needs for any living creature: food. Feeding a cat is not rocket science, but there are some common mistakes and misconceptions that many people make. For starters, cats need water but don’t tend to drink it out of a bowl the way dogs do. For that reason, you need to give your cat a mixture of both dry and wet food to keep them healthy. It’s also very important that you’re giving them food that provides the proper nutrients. Regardless of your personal tastes, vegetarian and vegan diets are simply not healthy for cats. There are nutrients in meats and animal products that cats must have to survive. This can also be a problem with homemade cat food. It’s best to stick to quality, commercially available brands. You know the old saying, “an ounce of prevention is worth a pound of cure?” It’s always better to do what you can to prevent your cat from getting fleas, ticks or heartworms than to have to treat them after they have them. Unfortunately, if your cat spends any time outside, they’re exposed to these nasty critters. Fortunately, there are several ways to stop them from getting in your cat’s fur and tummy. There are several products that cover all three of these common pests. You just need to carefully evaluate the dosing instructions based on your cat’s size. You’ll also need to decide if you want to give them the medication in oral or liquid form. Generally, the oral versions can be mixed into food and the liquid ones are applied to the fur on the cat’s upper back. The choice really comes down to your cat’s temperament and eating habits. While your cat may not enjoy being bathed, a clean cat is a healthy cat. Supplies to groom a cat are basically what you might expect: shampoos, nail clippers, and brushes are the major ones. If your cat tolerates baths well, you can add extra shine to their coat with conditioner. On the other hand, if your cat hates the water, bathing wipes are a decent alternative. They will clean and moisturize with lanolin and aloe vera. Most of these items are fairly obvious, but it’s easy to forget some small essentials. So here is a list of the basics: you’ll need a bed, a food dish or two, a litter box and a travel carrier or crate. If your cat is outdoorsy and adventurous, or if they’re jealous of the family dog and want to go on walks, too, you might consider a harness or leash. Last, but certainly not least, you’ll want and need toys for your puss! You’ll find a limitless number of options on the market, which is great, but if you feel overwhelmed by too many choices, stick to the classics. Balls are always good. So are scratching posts. Squeaky toys never go out of style. The important thing to remember is that you want to use toys that encourage your kitty to exercise. Keep these essential items in good supply, make sure to visit your vet regularly, and a healthy, happy cat can be a great friend and part of your family for many, many years! What is the purpose of having a patio? What are the Benefits of Using Dimming Bulbs?